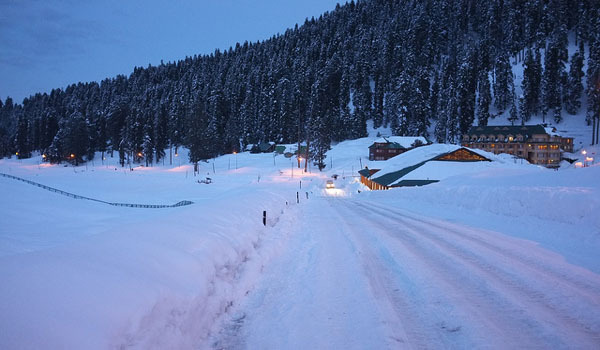 Gulmarg is a city of the state of Jammu and Kashmir and means as the ‘Meadow of Flowers’. This city is known for its heavenly beauty and counted among the best tourist destinations of India. Gulmarg is located amidst the Himalayan Ranges and is situated in between the area of the Line of Control between India and Pakistan. Gondola located in the city is known for having one of the world’s highest cable cars. Enjoy Skiing in the snow covered mountain while enjoying the incredible beauty of surroundings. Gulmarg was one of the favorite spots of the Mughal king Jahangir and he used to visit this place frequently in summers. This place is a heaven for the trek lover as well as for the nature lovers and people can visit this place all over the year because Gulmarg is a great picnic spot and people come repeatedly at this place to explore its landscapes, mountains, and heavenly sceneries. Gulmarg has known as the heaven for the trek lovers and people come here to trek on its high and snow covered mountains. This place is also best for skiing as they can ski on the long and high inclines of the snowy mountain ranges and experience adventurers feeling within. You can afford to miss the major tourist Attractions of Gulmarg which are the Alpather Lake, Gondola, Cable Car to Kongdor, Baba Reshi Shrine, Gulmarg Golf Course, Khilanmarg, Maharani Temple and ,St Marys church. Gulmarg is a place known best for skiing as you can go high skiing on the snowcapped mountains over here. The slopes of Afarwat Hills of the Pir Panjal Range of the Himalaya Chain are known to be one of the extensive and highest ski slopes in Asia are located in Gulmarg region. It will be an unusual experience if you see the Khilanmarg which offers exquisite views of the mountain peaks of the Himalayas. Do not miss the Nanga Parbat which is a well-known tourist destination in Gulmarg and people visit in thousands in this place. It claims to be the fourth highest peak on the globe. You can purchase various stoles and shawls from the shops of Gulmarg as you can get intricate Kashmiri work of art in these shawls, Kashmiri pashminas and pherans. And also do not forget to buy the woolen caps and gloves to save you from the chilly winds. These woolen caps and gloves are made from rabbit wool and known for being very warm. Do go for the mountain bike trekking and skiing in this place as this is one of the most adventurous activities to do in Gulmarg. November to February is the perfect season for Skiing and mountain biking in Gulmarg. Do have some exotic Kashmiri food on the high mountains of Gulmarg with your loved one, and if you are on your honeymoon trip then you must visit these hotels as they serve you with authentic cuisines of Kashmir and do not forget to have the green tea which comprises with cardamom, cinnamon and saffron. Help us to improve this article/list "Gulmarg". We would be glad if you can comment below and provide your valuable suggestions and feedback. If this page about Gulmarg have any wrong information/list or out of context content, then you can report us as well.